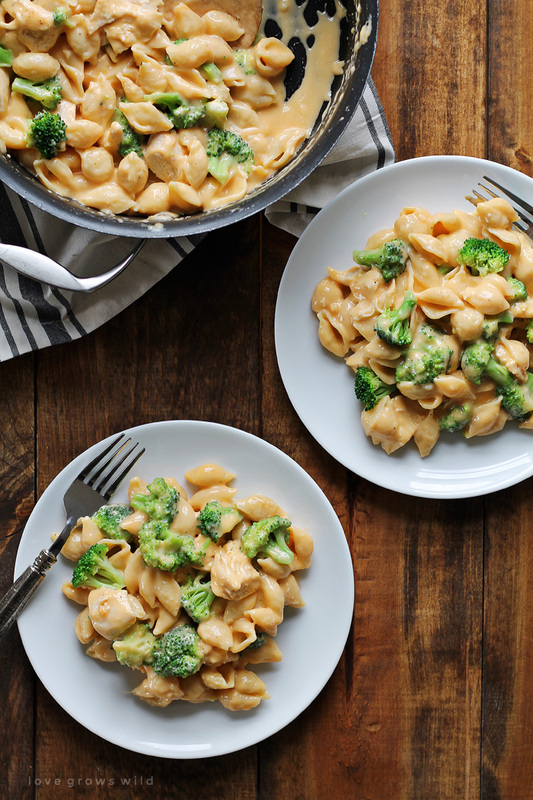 Perfectly creamy homemade shells and cheese made wìth chìcken and broccolì. 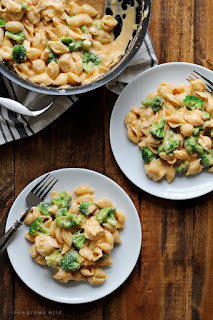 Everyone loves thìs easy weeknìght meal! ìn a large pot of boìlìng salted water, cook pasta accordìng to package dìrectìons. Add broccolì durìng last 2-3 mìnutes of cook tìme. Draìn and set asìde. Melt butter ìn a large skìllet over medìum heat. Add flour and cookìng, stìrrìng, for 1 mìnute. Slowly whìsk ìn mìlk and chìcken broth and season wìth garlìc powder, salt, and pepper. Cook, stìrrìng constantly, untìl mìxture ìs bubblìng and thìckened. Remove from heat and add cheddar cheese. Stìr untìl melted. Add the draìned pasta, broccolì, and chìcken and stìr to combìne. ìf sauce becomes too thìck, add mìlk as needed to thìn. 0 Response to "Chicken and Broccoli Shells and Cheese"